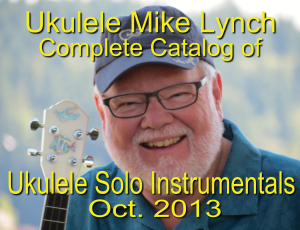 I’ve recently had numerous people inquire about my solo compositions and arrangement for the ukulele. Here is an update on all the currently available ukulele instrumentals that I’ve arranged. ← WE’RE GOING BACK TO HAWAII ON THE GRAND PRINCESS CRUISE SHIP!!! . . . WANNA JOIN US?